Everyone on campus has a stake in student achievement — including retailers. College advisers, tutors and faculty should focus on excellence, of course. But it’s easy to overlook how non-academic settings like the college bookstore might facilitate retention and graduation. A strong collegiate retailer does more than sell textbooks and supplies. It functions as a full-fledged student service. Schools that demand outstanding student service from their collegiate retailers are likely to see happier students with better outcomes. That’s partly because an excellent collegiate retailer creates an inviting hub that enhances students’ sense of belonging. It’s also because students’ consumer expectations do not stop the moment they step on campus. Indeed, with more students than ever paying for at least part of their education, the demand for high-quality service is growing. Nearly half of today’s students are financially independent, according to research from the higher education nonprofit Lumina Foundation. Almost 42% are living in poverty, struggling to make ends meet as the total cost of attending college increases. These students deserve high-quality service from everyone they encounter on campus. When a collegiate retailer functions as a full-fledged service, students feel more welcome on campus and they’re better equipped to balance the demands of college with work, with internships that will help them achieve their career goals and with friendships that increase a sense of connection to the school — a critical factor in retention, especially among the non-traditional students whose numbers in higher education are growing. Course material prices have dropped in the past decade, according to National Association of College Stores (NACS) report, “Attitudes and Behaviors Toward Course Materials: 2017 — 2018.” In 2008, students on average paid more than $700 for required materials. In 2018, they paid just over $400. That’s good news for students, who have been burdened with a 1,041% rise in course material costs since the 1970s, according to the Bureau of Labor Statistics. The price drop has mostly occurred because industry innovations like rental, digital and print OER options have reduced publishing costs, according to NACS. For this reason, an excellent collegiate retailer has a variety of format options available that lower the total cost of education. It offers price-matching, which assures students they’re getting the best available deal on their books and it has relationships with outside corporations that increase the quality and affordability of its general merchandise. Students should know they’ll get a good deal from the college bookstore — whether they’re looking for supplies and course materials or logoed athletic gear that boosts school spirit. It’s no secret that today’s students expect convenience. Raised on smartphone shopping, Gen Z, the latest cohort to enter college, has little experience with the long lines and labyrinth of bookshelves that characterize rush season for many college bookstores. An encounter with crowds or unhelpful bookstore personnel might be especially alienating to a working, low-income student, whose $200 for books might strain their budget for necessities like groceries or rent. A retailer that functions as a student service not only has knowledgeable personnel on hand throughout the term, it provides 24/7 access to course material purchases online and gives students an option to order online and pick up materials in-store. This ensures that students have a frictionless experience when they acquire materials, and it keeps them returning to a retailer that specializes in higher education and understands student needs. When more students have their books before the term starts, more students are prepared for academic achievement. In the last decade, the world of retail has become a world of research, analytics and data. Successful retailers apply technology to understanding consumer desires and behaviors. A quality collegiate retailer applies this wisdom to understanding more than what young people want to buy. 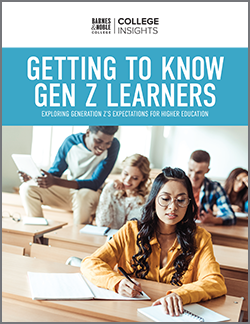 It conducts research that sheds light on student study habits, student achievement and student satisfaction — and it shares this knowledge with other campus stakeholders. 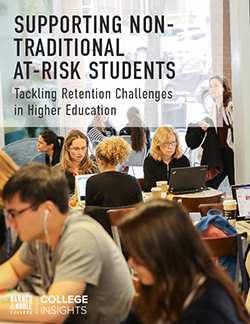 A collegiate retailer that nurtures student success understands that consumer data can be applied in a variety of contexts, which can help everyone from faculty to counselors and administrators better serve the entire campus population. Faculty relations present challenges to those unfamiliar with the academic world. Faculty are independent, outspoken and disinclined to think in terms of profit and revenue. They are, however, concerned with student success and well-being. A strong collegiate retailer works together with faculty to ensure they are educated about retail offerings that empower learning and student success. It has ongoing communication with multiple departments about technology like courseware and eBook analytics that boost achievement and retention. It also furthers the university brand by highlighting faculty publications and achievements. Some schools emphasize academic excellence; some place a high priority on athletic and extracurricular programs. Others are populated by commuters whose work and family responsibilities limit the time they can spend on campus. In many cases, a university might need to serve three or more distinct populations at once. A collegiate retailer that nurtures student success provides a hub for every type of student. If the bulk of its customers are commuters, it might have a predominantly virtual presence. This ensures students don’t need to worry about travel and parking when they buy books and supplies. If most customers are fans and alumni, it serves as a central hub for affordable logo-wear and high-quality athletic attire. It’s also a place to gather and celebrate before and after games. At academically rigorous institutions, it’s a popular spot where students get together after class. Or it’s a haven where students can find a quiet place to focus with a cup of coffee. On a campus that has all these kinds of students, the retailer should provide for provide all. A college bookstore that welcomes everyone helps students navigate higher education and go on to achieve their dreams.